When was the last time you used a physical map to navigate around town? Most people will find that it’s been years since their last experience with a physical map. The use of mobile automotive GPS systems has decreased, as we continue to rely on our mobile devices to provide us with all the navigation information we require. 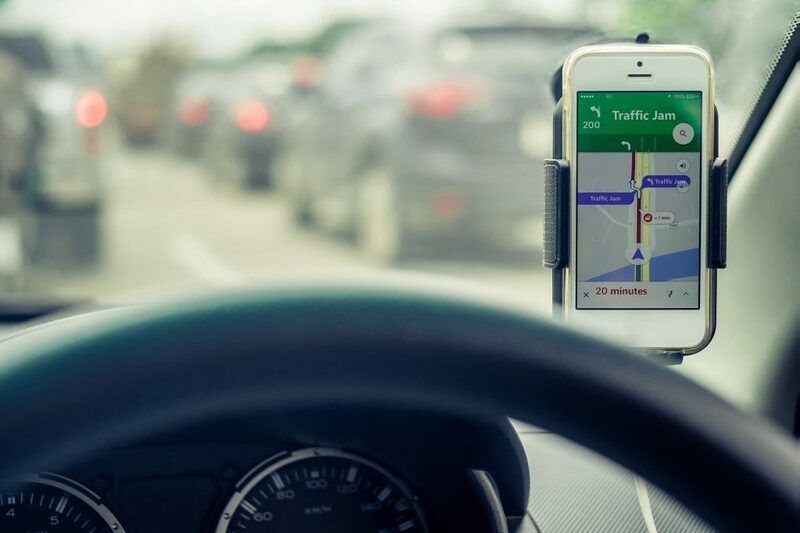 Most of us stick to using Google Maps or Apple Maps for our navigational needs, but we’ve put together a list of alternatives which have extra features that you’ll find useful and will save you a lot of time and energy on the roads. Keep reading to discover which Android and iOS navigation apps you should be using to avoid getting lost. This GPS app provides users with all available routes and allows for you to pick which route to use. Scout GPS Navigation will show current speed limit updates, as well as live traffic statuses. A feature that sets Scout GPS apart is that the app allows for you to share your ETA with those who are on your contacts list and further allows for you to download maps offline so that you are able to use all maps, even if you find yourself in a situation where you cannot connect to the internet. Waze GPS is free of charge and always ensures you use the fastest route. Waze uses intelligent technology to track the latest traffic conditions and knows to re-route whenever there are any accidents or traffic jams. With Waze, you can set up the navigation system to use your own recorded directions, as well as let you pick whether you want to use any toll roads or avoid them. Another function that makes Waze GPS a great navigation app is that Waze will automatically suggest parking areas, should your destination attract large crowds. Another brilliant navigation app to consider is Maps.me (MapsWithMe). Maps.me is also free to download and can be used offline and in different countries – a great asset if you’re one to travel to different cities and countries frequently! A cool thing about this app is that it makes it easy for you to share your current location via text message or social media, should you get lost and need a way to easily share where you are with your friends and family. Tourist attractions, hotels, cafes and restaurants are all listed on the maps and so you’ll be able to freely explore new surroundings without ever feeling afraid about getting lost. MapQuest GPS has been popularised as being the most accurate navigation application, as it features real-time traffic conditions, live vector maps and regularly updated satellite images. Unlike Maps.me, MapQuest GPS requires you to have an active data connection. This makes navigation with this application difficult if you are unable to connect to the internet. What sets MapQuest GPS apart from other navigation apps is how you can pair the app with your smart watch and receive directions on there. Another amazing feature of this app is that you’ll be able to save on fuel, as MapQuest GPS will list all nearby fuel services and their price listings. If you ever find your vehicle’s windscreen damaged, you won’t need a GPS app to find the best repair or replace service in Australia. Simply get in touch with Instant Windscreens. We provide our customers with emergency services, should you ever find yourself in a situation where you are unable to come to us, and if you require a glass repair, our fleet of mobile repair vehicles can come to you, whether you are situated in Brisbane, Sydney, Adelaide, Canberra, Melbourne or Perth. Call us now on 132 444 and get a quote!